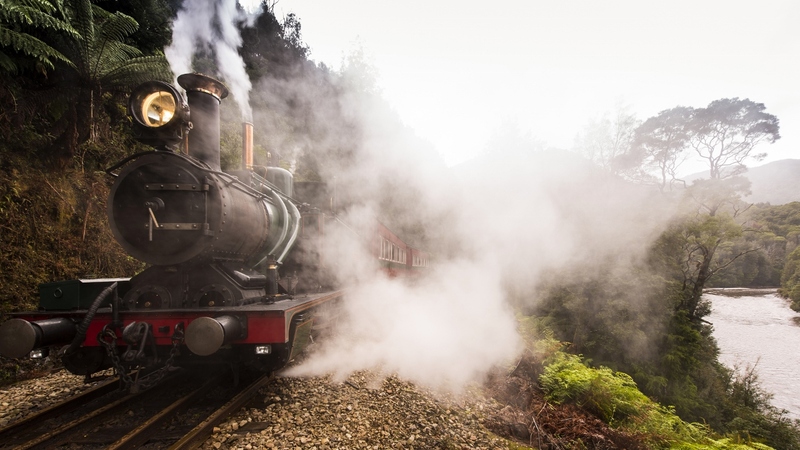 Start your wilderness rafting trip with a heritage steam train ride through the West Coast Wilderness before rafting through the peaceful lower reaches of the King River. 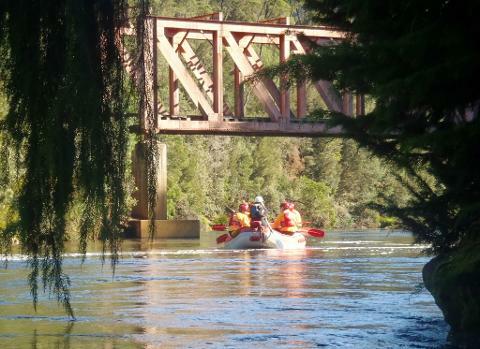 The King River Rail Raft and Rainforest Experience is a unique collaborative adventure between King River Rafting and the West Coast Wilderness Railway. 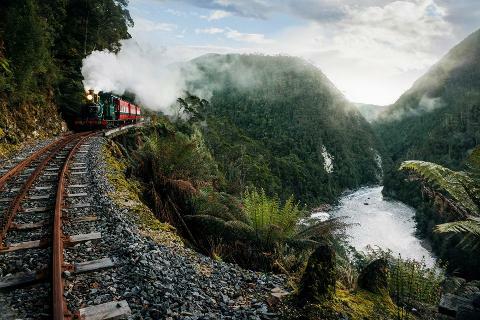 Catch the West Coast Wilderness Railway from Queenstown over the steep Abt section of track to Dubbil Barril train station, located in the rainforest on the banks of the King River. From here, we'll change into our rafting gear and paddle down the King Rivers small rapids and peaceful reaches. 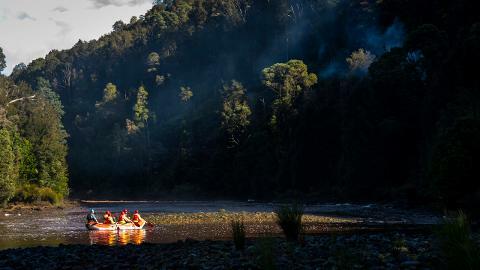 On this 15km adventure, you will see thousands of huon pine trees, paddle through mirror reflections of silent ancient forest, drift past mining relics being reclaimed by nature and spot black cockatoos and eagles wheeling overhead. We'll stop at places of interest along the way, including enjoying a sumptuous King River Rafting lunch. At Lowana, we board the bus for the return drive to Queenstown. • Get up close to ancient rainforest and rare Huon Pine and King Billy Pine trees. • Transport back to Queenstown after the trip.